Dieter, DF9NP offers nice PCBs with VCOs locked to 10MHz precision TCXO. 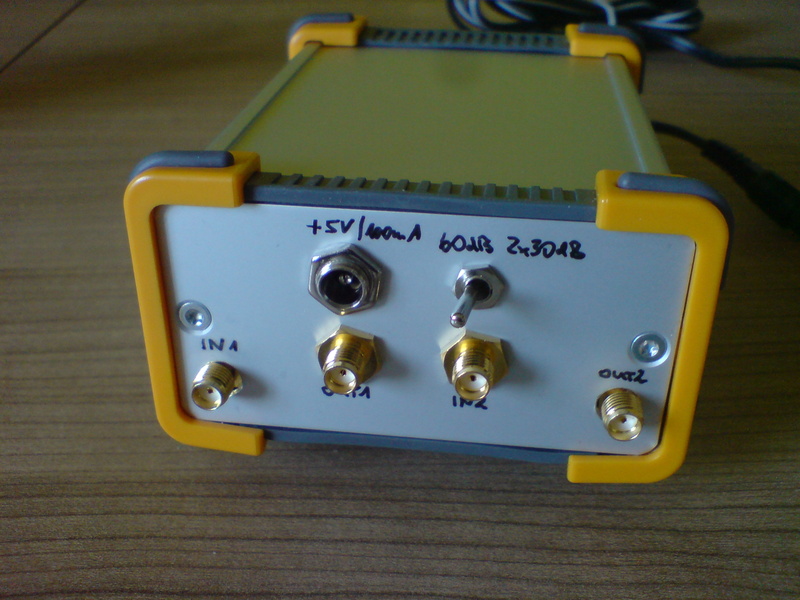 I ordered one with 0.28ppm TCXO and Dieter was so kind to tune one of the VCO to a frequency of 2592.2MHz. Together with a Multiplier x4 made by DG0VE this makes a nice generator that shows up around 10368.8MHz. I connected the both units to a small horn and placed it close to the window. 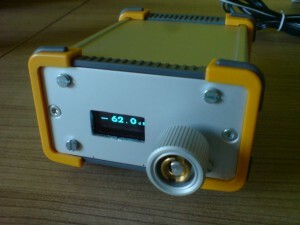 The signal was visible on the websdr screen immediately. The oscillator from Dieter has about 14dBm output while the output buffer amplifier can be switched by connecting one pin to ground. 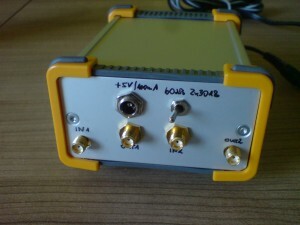 The multiplier has about 200mW output at 10GHz. During the first test i noticed that the airflow through the open window was changing the frequency of the TCXO slightly. 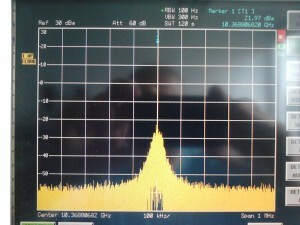 This caused some instability at 10GHz. During a measurement in the lab i saw that the airconditioning was causing a even more significant drift while isolation from the surrounding air results in a very stable signal. Therefore i decided to put the oscillator in a metal can. This also improves the heat dissipation of the linear regulator for the PLL supply voltage. 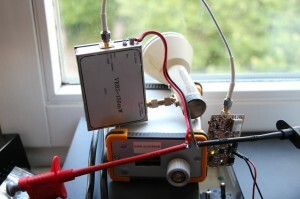 The pictue shows the test setup close to my window. 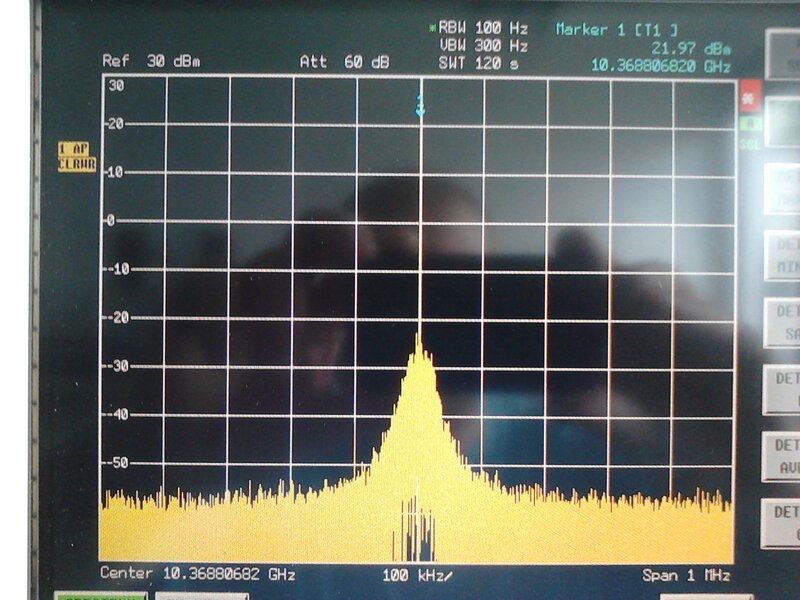 The screenshot from the Dresden 10GHz WebSDR shows the test signal at the lower end of the scale and the DM0TUD beacon at the upper end. The distance from my location to the WebSDR is about 7km and i have some houses and trees directly in the path.